FX's Legion, the acclaimed drama series from creator and executive producer Noah Hawley, will return to the cable network on Tuesday, April 3 at 10 PM ET/PT. Series creator Noah Hawley confirmed during the TCA Winter Tour last month that the Season 2 premiere would air at some point this April, but a specific date was not yet given. It was also confirmed that executive producer Bryan Singer has been dropped from the show, in the wake of a sexual misconduct scandal. 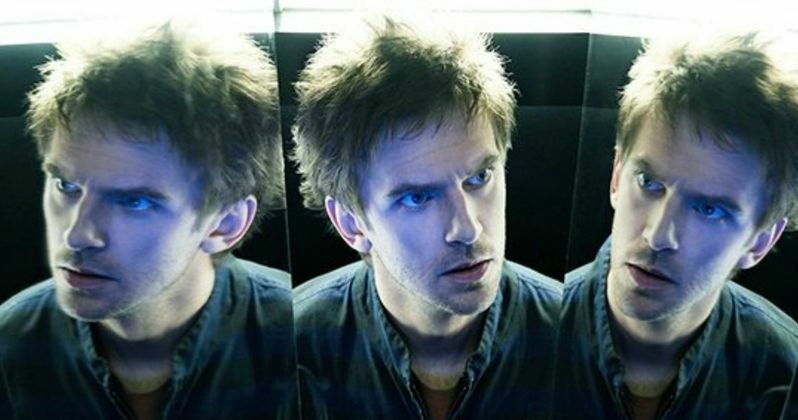 Based on the Marvel Comics by Chris Claremont and Bill Sienkiewicz, Legion is the story of David Haller (Dan Stevens), a man who believed himself to be schizophrenic only to discover that he may actually be the most powerful mutant the world has ever seen. FX renewed the hit series back in March, just a month after the show had premiered to rave reviews and strong ratings for the cable network. There is no indication yet as to when we may see the first footage from Legion Season 2. From childhood, David Haller shuffled from one psychiatric institution to the next until, in his early 30s, he met and fell in love with a beautiful and troubled fellow patient named Syd (Rachel Keller). After Syd and David shared a startling encounter, he was forced to confront the shocking possibility that the voices he hears and the visions he sees may actually be real. Syd led David to Melanie Bird (Jean Smart), a demanding but nurturing therapist who heads a team of specialists including Ptonomy (Jeremie Harris), Kerry (Amber Midthunder) and Cary (Bill Irwin), each of whom possesses a unique and extraordinary gift. Together, they helped David to recognize and harness his hidden powers. With their support, David finally unlocked a deeply suppressed truth - he had been haunted his entire life by a malicious parasite of unimaginable power. Known as the "Shadow King," this malevolent creature appeared in the form of David's friend "Lenny" (Aubrey Plaza), but is actually an ancient being named "Amahl Farouk." In an epic showdown, David and his friends battled his demon, ultimately forcing it from David's body. Unfortunately, Farouk found a new host, Melanie's husband Oliver Bird (Jemaine Clement) - and escaped. Just when they thought they'd earned a moment of respite, a mysterious orb appeared and took David away to an unknown place. With David and Oliver missing and Farouk on the loose, the team forms an unlikely alliance with their former enemy "Clark" (Hamish Linklater) and his well-funded government organization, Division III. Meanwhile, Amahl Farouk (Navid Negahban) is on a new path to attaining infinite and world-ending power. Noah Hawley serves as Executive Producer, along with John Cameron, X-Men franchise producers Lauren Shuler Donner and Simon Kinberg, along with Jeph Loeb and Jim Chory. Legion is the latest project from Hawley and Cameron, two of the executive producers of the Emmy and Golden Globe-winning FX anthology series Fargo. Legion is produced by FX Productions and Marvel Television, with FXP handling the physical production. FX Networks has also released a new photo that features many looks at Dan Stevens' David Haller, which you can check out below.